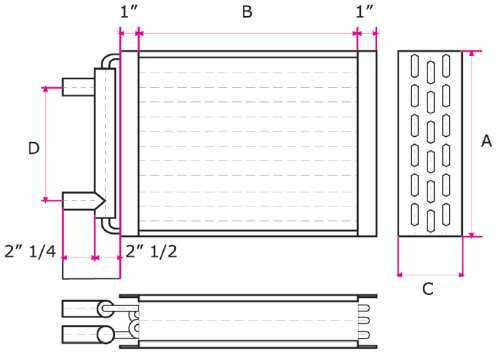 12" x 12" Air to water heat exchanger are a great fit for a variety of heating and cooling applications. 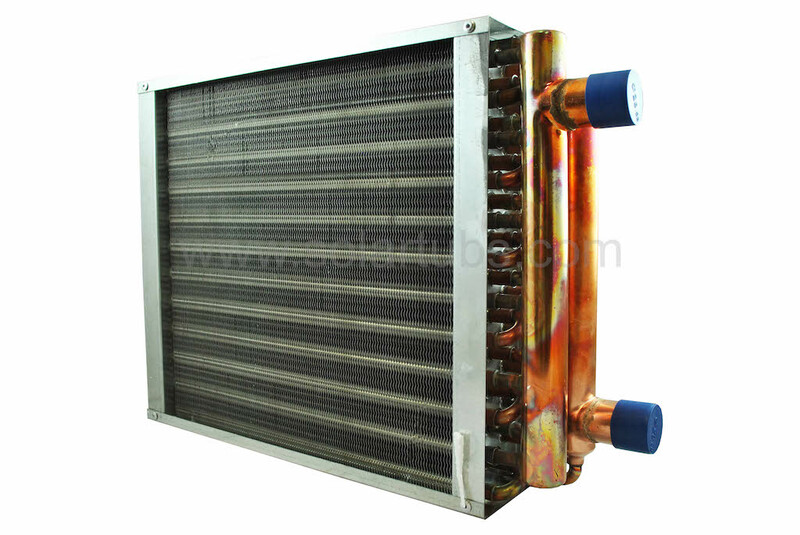 These compact units are designed to maximize heat transfer by utilizing a series of 3/8" copper tubes with a high density of aluminum fins. These fins are spaced such that the fin density is 12 fins per inch. This design enables heating loads of 50,000-60,000 Btu per square foot (please see performance chart below). Despite such high fin density there is minimal flow resistance through these coils. These units fit in the Furnace and use the solar hot water to transfer the solar heat through out the house. 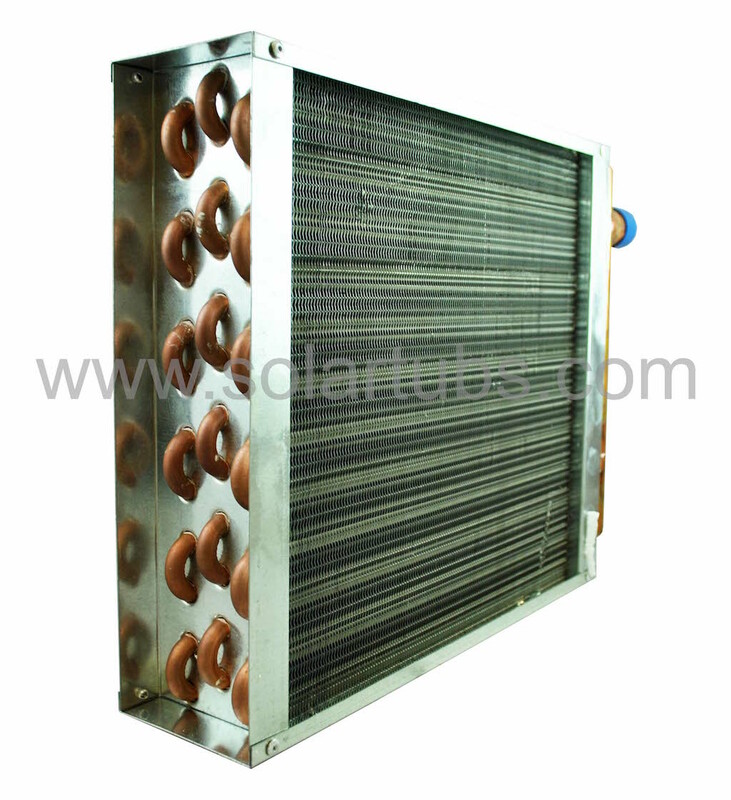 Tube Coil is manufactured entirely of 3/8" seamless copper. Plate Fin is made from Aluminum. The core housing is made from galvanized steel. Header is made from Copper and has a 1" ID. The Tubeside is rated at 175 psig/350F. Plate Fin Spacing is 12 per inch.